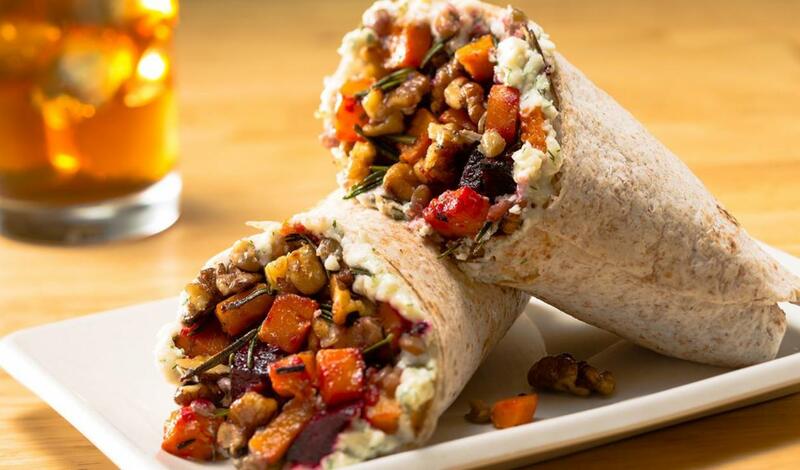 Butternut squash and beets are wrapped up with dill and goat cheese mayonnaise and lentils for a savoury mouthful. Beets, diced, roasted 1 lbs. Butternut squash, diced, roasted 1 lbs. Top the tortilla with lentils (sub recipe below), squash, beets, nuts and goat cheese mayonnaise (sub recipe below). Fold in one end and roll to create a wrap.